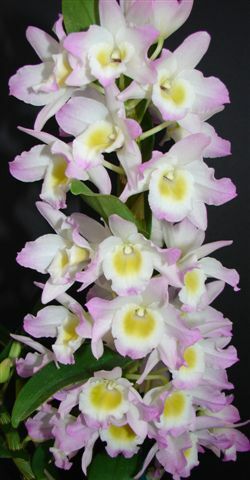 Fragrant Orchids of Maui is a world class orchid nursery and grower of abundant species and hybrid plants that are easy to grow and bloom in the home. We expertly package and ship throughout the United States to individuals and businesses alike, offering value and care. 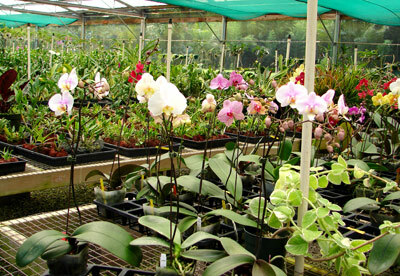 Fragrant Orchids is located in Haiku, Hawaii, on Maui island's spectacular north shore, 25 minutes from the Kahului airport and one mile off the Hana Highway near Makawao, Hana, Ho'okipa Beach Park. The extensive facility is in the Ulumalu region of Maui�s North side of Haleakala adjoining the island�s rainforest with its famous steep coastal slopes. 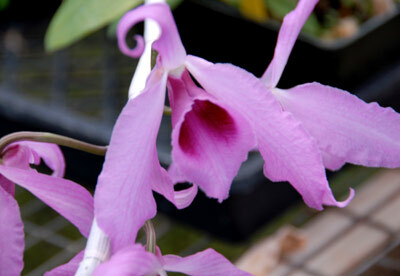 The ancient Portuguese word "ulumalu" means the undulating hills in which Fragrant Orchids is nestled. Here, the unique geography keeps the cloud formations from being pushed out to sea, and the resulting moisture with cool mountain air is splendid for all types of plants. 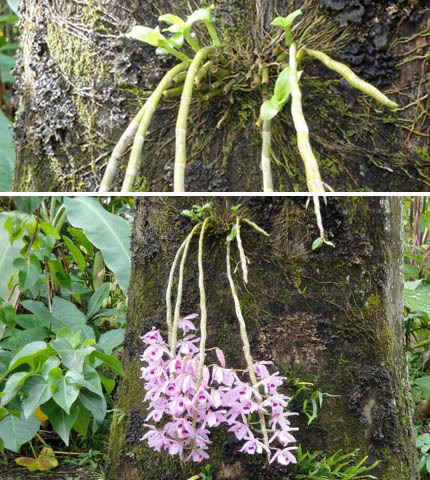 Orchids can be found growing on trees throughout Fragrant Orchids of Maui's pristine acreage. Visitors to the Haiku area who would like to visit the orchid nursery are welcome to make an appointment; all who visit invariably leave feeling refreshed and energized. Nursery Visits, Map and Directions. 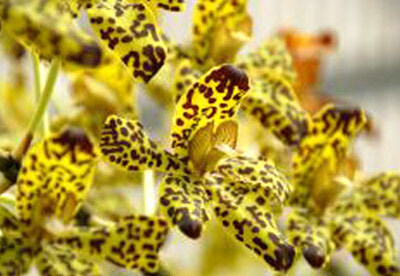 This Grammatophyllum speciosum is one of the largest orchids in the world. 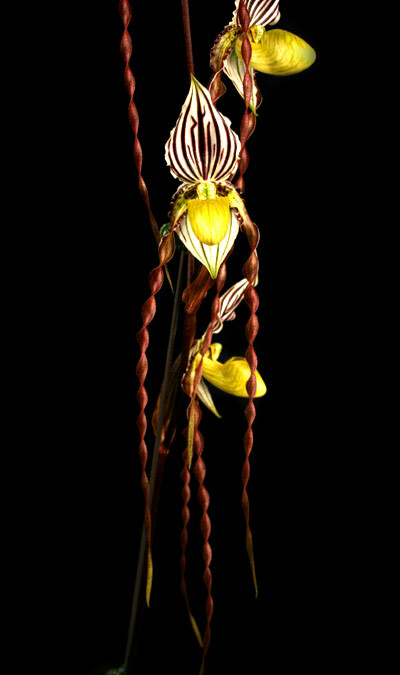 Paphiopedilum philippinense 'Shin Yatomi' AM/AOS. American Orchid Society Award of Merit to Karen Klemme and Lloyd Fischel in June 2007. 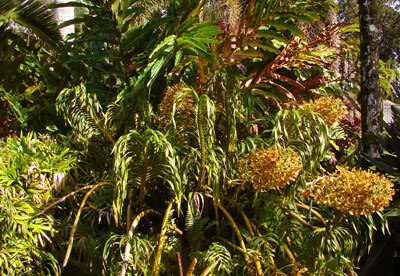 Measuring 20' diameter and 15' in height, the beautiful Grammatophyllum above was taken off a tree in a northern Thailand forest many years ago, and planted in Maui's red earth where it adapted and has matured into the largest orchid plant on the island. Grammatophylum speciosum, from Northern Thailand, is considered the largest plant in the orchid phylum. The long octopus branches measure over 15' from one side to the other. The story goes that when discovered in the 1800's, workers climbed up tall palm trees in which the ancient species rested seeking sun in the forest. They removed part, which fell to the ground upon the chief explorer killing him. Pot. 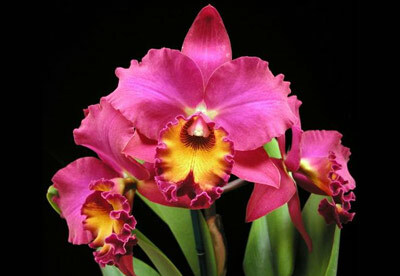 Regal Waianae 'Kalo's Rainbow' · AM/AOS. 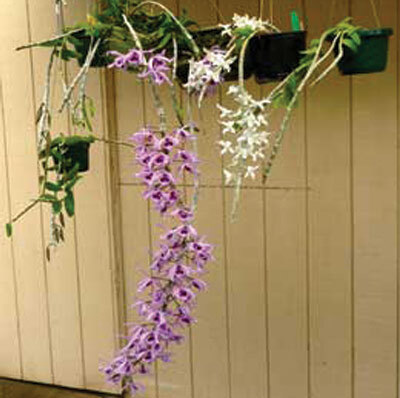 American Orchid Society Award of Merit to Karen Klemme and Lloyd Fischel in September 2005. Our local islanders remember their youth when the fragrance and beauty of 'honohono' flowers carried fond memories. Originally a species from the Phillipines, Den. anosmum has many large fragrant flowers in rich colors. At the end of the blooming season, the bloomed-out canes can be cut off, and if watered weekly will sprout new plants (keiki) within months on these, while the mother plant grows new larger canes. After one blooming season, plants with 4-6 canes have the potential to produce over a dozen keiki in the next season. Six and seven year old plants have several very healthy canes, and bloom in spring. 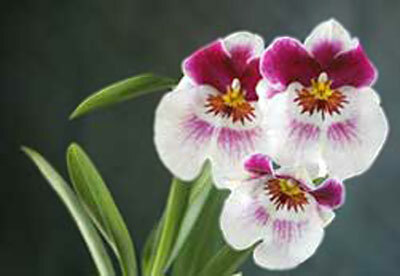 Miltoniopsis - always fragrant and gorgeous. Pot. Reid's Discovery, 'Kaneko's Beauty' · AM/AOS. 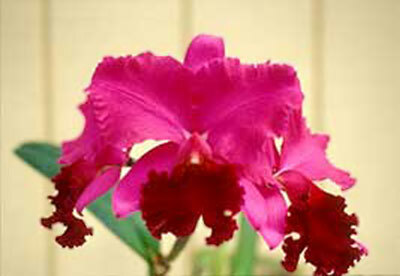 American Orchid Society Award of Merit to Karen Klemme and Lloyd Fischel in March 2003. 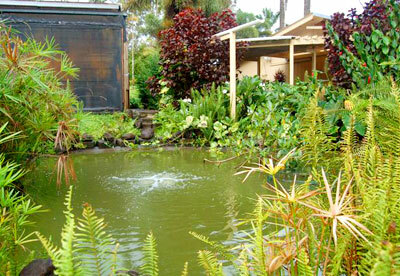 Adjacent to the nursery is Lanikai Farms, a spectacular fish breeding & education facility for learning aquaculture and aquaponic food growing techniques. A delightful tour is enjoyed by people from around the world. 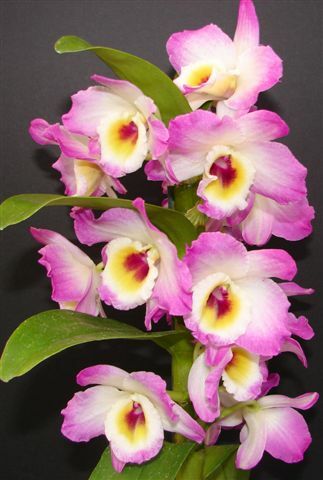 Fragrant Orchids of Maui was founded by serial entrepreneur Lloyd Fischel and Karen Klemme. 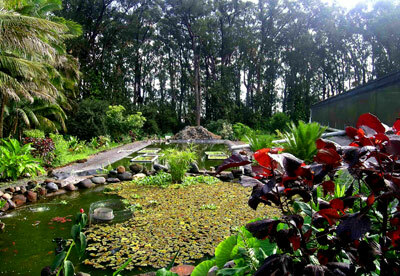 The State of Hawaii bestowed upon them the Heroes of Agriculture Award in 2010 for their commitment to education about sustaining the land, protecting the a'ina. 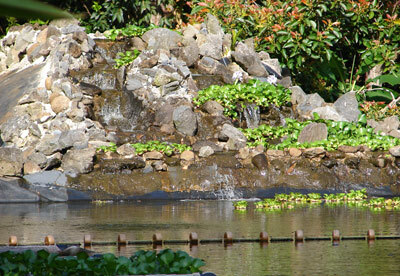 The Big Pond at Lanikai Farms.